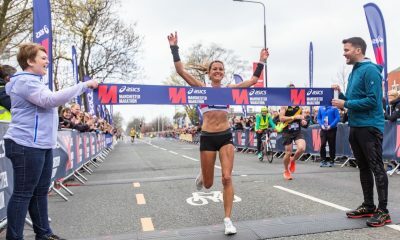 Big volume and sub-70 minute half marathon sessions are key to the Irish marathoner’s training. Kevin Seaward’s superb fourth place at the Gold Coast Commonwealth Games was largely overshadowed by Callum Hawkins’ gutsy run for victory which sadly ended in collapse, and his fellow Scot Robbie Simpson’s impressive bronze medal just 18 seconds ahead of the Irishman. Seaward’s 2:19:54 in the blistering Australian heat was his fifth sub-2:20 marathon since 2014, with his two other outings over the distance just a few seconds shy of the mark, earning him a deserved reputation as a hugely valuable asset for the Irish international team. He credits his years of consistent training over a number of years for his success over the classic road distance, with regular 12-hour intervals between his morning and evening runs – albeit filled with work and not rest – enabling him to recover sufficiently before the next session. 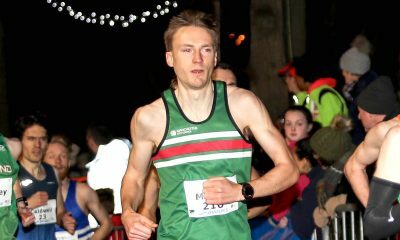 We talked to the full-time teacher about his training, his favourite session – which involves a huge volume on the track – and the what he needs to work on, which happens to be his physical weakness. 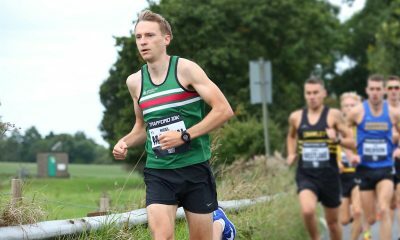 The following is a special block week of training for Seaward in the lead up to the 2017 Berlin Marathon where he clocked 2:15:50. 5.45AM: 2 mile warm up, 13.1 in 69.45, 2 mile cool down. First 7 miles started out at 5.30 per mile, second half building pace down. This is a pre-breakfast run. Fast Running: What would you say was your favourite session, and your least favourite? Kevin Seaward: Hills are tough, particularly short hills. They have never been a strength of mine and feature right up there on my list of least favourite sessions. I really enjoy kilometre floats. During a marathon phase we will do up to 20km of 1 kilometre in 3-3.05, with a float kilometre in 3.20-25. I feel the in and out pace sessions really help with strength, both physical and mental. FR: What would you say was your biggest strength, and the area you need to work on further? KS: I am aerobically really strong. I have built up a good engine with consistent training over the years. I am robust and don’t miss much training, which adds to this strength. On the other hand, I am incredibly weak! I don’t do any strength and conditioning (S&C), but know I should. The medical and physio team with Athletics NI at the Commonwealth Games really helped me out. I had a few issues arise due to my lack of S&C and they quickly got things working again. My plan is to get a structured programme and address the S&C side of things. 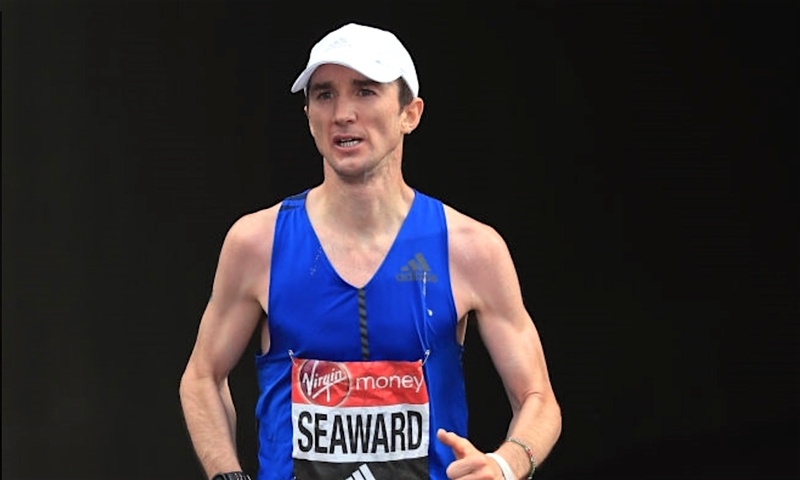 Seaward’s next big goal is the European Championships marathon in Berlin this August, where he is hoping to beat the 2:14:52 PB he ran in the German city three years ago. RELATED: Are you a training copycat?